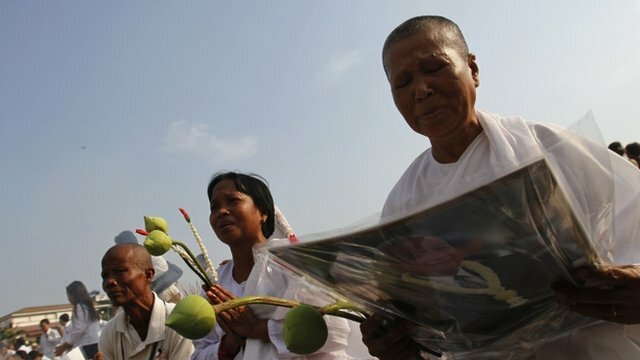 Cambodians fight for their homes Jump to media player More than 20 years after the end of Cambodia's civil war, another battle is being waged on the country's streets - over land. 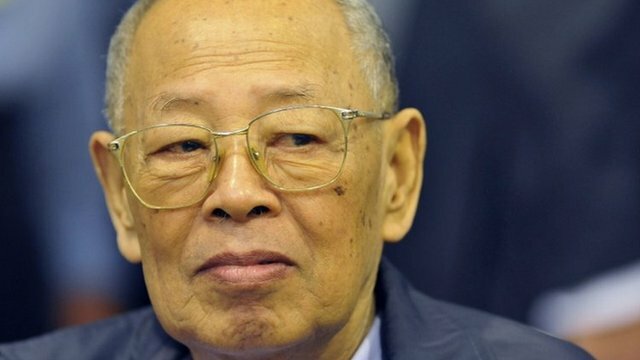 Khmer Rouge chief Ieng Sary dies Jump to media player Ieng Sary, the third most senior member of Cambodia's Khmer Rouge Maoist regime of the 1970s, has died, reports the BBC's Jonathan Head. Cambodia's former King cremated Jump to media player The body of Cambodia's former King Norodom Sihanouk has been cremated in the capital, Phnom Penh. 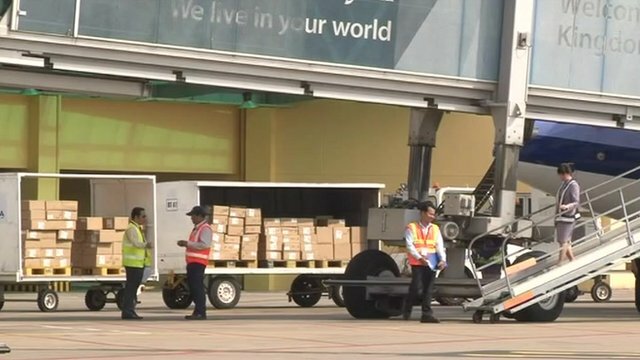 Cambodia sees jump in cargo shipments Jump to media player Cambodia's growing economy is attracting multi-national companies keen to reach other markets across South East Asia. 'They would not share food with me' Jump to media player In Cambodia, until recently, people living with the Aids virus were treated as social outcasts. More than 20 years after the end of Cambodia's civil war, another battle is being waged on the country's streets - over land. Local human rights groups say the government has allocated around four million hectares to businesses for redevelopment, affecting 400,000 people - many of whom have been evicted. In 2012, more than 200 people were arrested during protests over land. The BBC's Jonathan Head spoke to some of the people in the capital Phnom Penh fighting for their homes.